A torchiere / task lamp combination could be a ubiquitous design, until you see the Flex. Flex is sleek, modern, and minimal, blending into your space so that the light is what you notice most. Torchiere light source: 25 watt LED providing 1983 lumens of light. Task light source: 10 watt LED providing 457 lumens of light. On/off 4-way switch on the body operates both lamps. 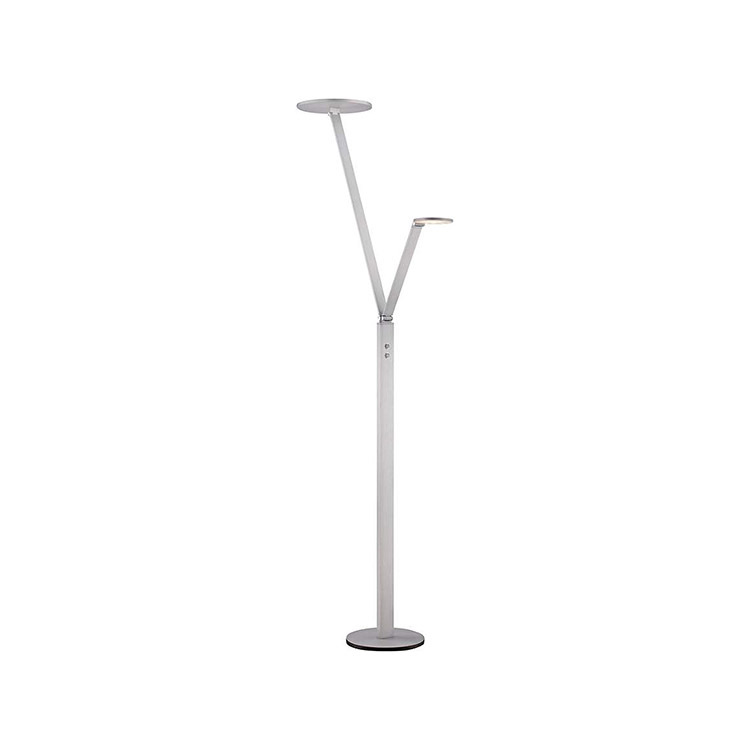 Both torch and task are adjustable; the lamp can be completely flat with just the shades protruding from the post, or the arms can reach out to bounce or direct the light where you need it. 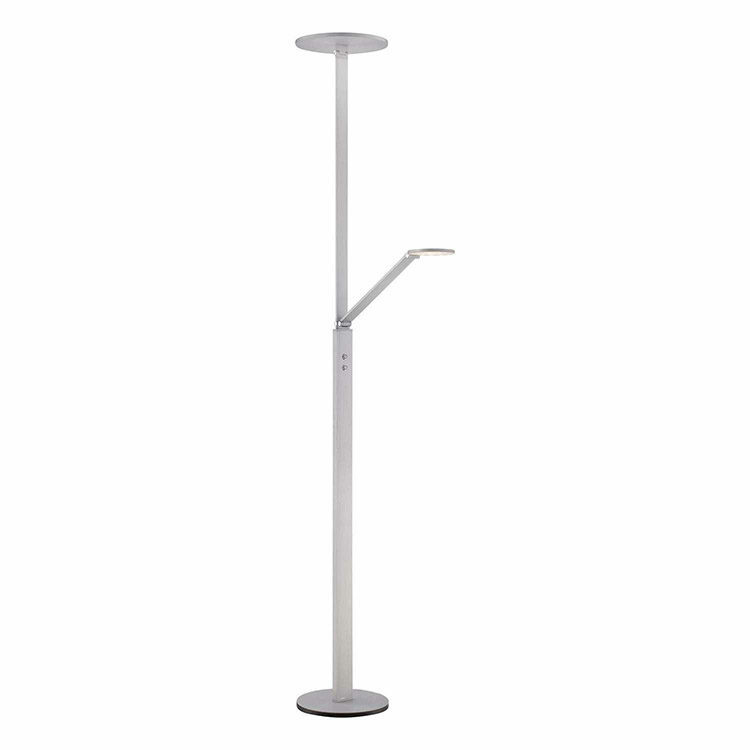 Constructed from steel with “chiseled nickel” finish and white acrylic light diffusers. A lamp worthy of the brand George Kovacs, whose legacy is bringing modern, European lighting to the USA.